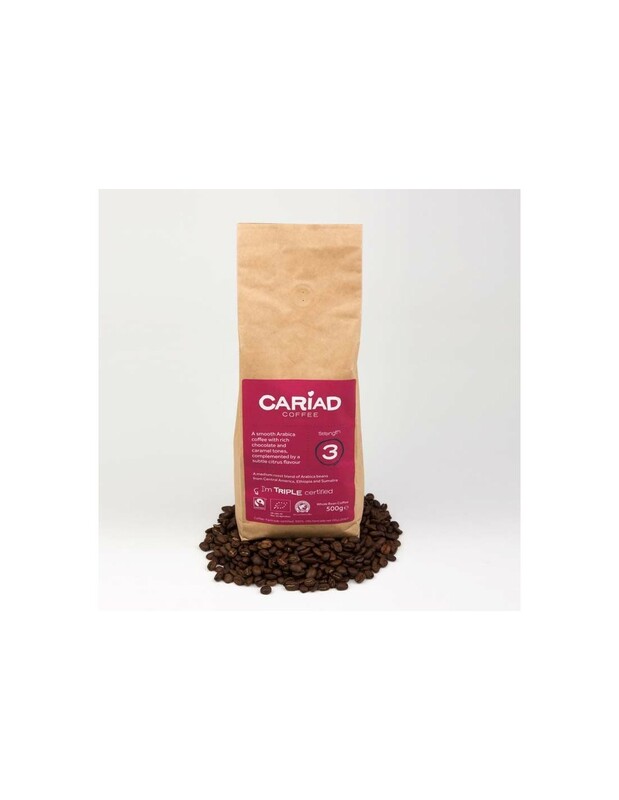 Cariad Coffee is a medium roast blend of the finest Arabica beans from Central America, Ethiopia and Sumatra. 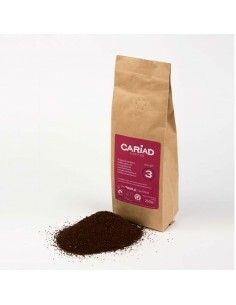 Cariad Coffee is a delicious ethically sourced coffee blend. 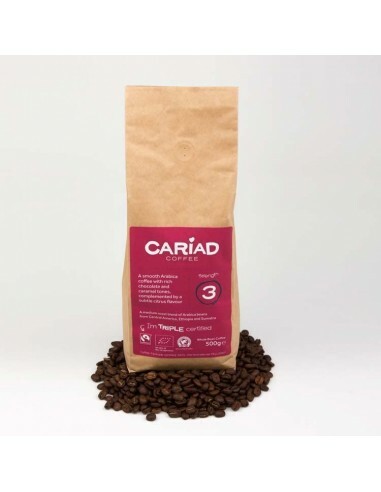 With smooth chocolate tones and a sweet caramel syrupy mouthfeel, Cariad blends are complimented by a light citrus acidity, plum and a long smooth finish. 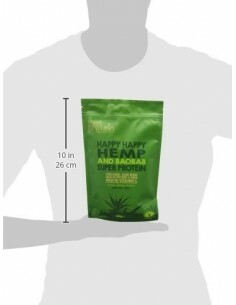 Cariad Coffee is triple certified Fairtrade, Organic and Rainforest Alliance. 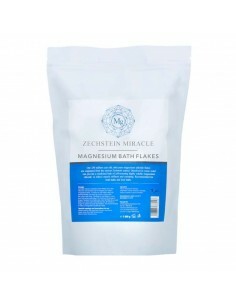 Now you can prepare a delicious and freshly brewed coffee anytime with our 500g coffee bean blend. Introducing our new master blend coffee, a medium roast blend of the finest Arabica beans from Central America, Ethiopia and Sumatra. Triple Certified: Fairtrade, Organic and Rainforest Alliance.